Background/Info: 2017 is a real prolific year for Ethan Fawkes. 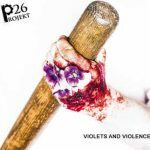 The Belgian artist is releasing new EP’s on regular basis. Content: “Raving Is Still alive” sounds as a little wink to the glorious days of ‘dance’-music. It reminds me of the powerful techno-rave productions, which especially in Belgium got really famous. The title song has this retro-feeling, which especially comes through by a solid lead reminding me of early Lords Of Acid. 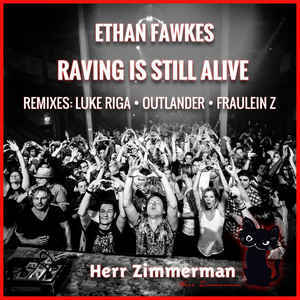 Remixes have been done by Fraulein Z, Luke Riga and Outlander. + + + : Ethan Fawkes is an artist that doesn’t really repeat himself. He remains driven by the flame of techno music, but each new production has a different focus. He now embarks on a trip to the past, bringing the early days of ‘dance’ alive. The song and remixes are filled with multiple retro elements. I especially enjoyed the remix of Outlander, but the other ones are still recommended and diversified. – – – : This kind of retro techno-trip sounds a bit as a challenge or just nostalgia. I guess it’s more a kind of dream the artist wanted to realize. It could have been fun asking a producer from that period to make a remix. Conclusion: Ethan Fawkes transforms himself into a time-traveler getting us back to late 90s dance movement! It’s nothing new although a cool trip! Best songs: “Raving Is Still Alive – Outlander Remix”, “Raving Is Still Alive”.